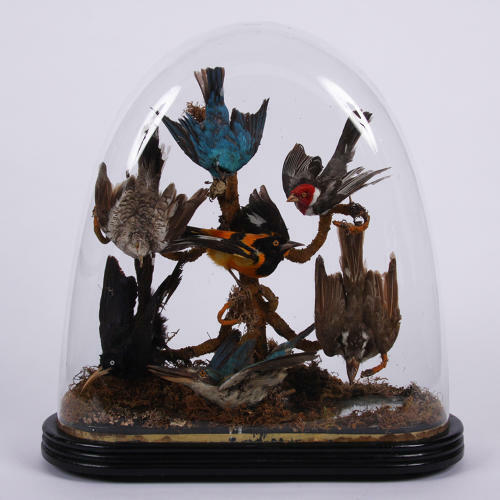 A C19th taxidermy exotic bird collection under an original glass dome on an ebonised wood base. Mirrored base. This piece is in fantastic original condition throughout.